Ten years ago, as the City of Vancouver planned for the upcoming Winter Olympic Games, few predicted (or even thought about) how technology would transform the event experience for the organizers, attendees, and athletes. Jeff Sinclair and Ben West—co-founders of Eventbase—had that foresight. As Vancouver prepared the facilities, logistics, infrastructure, and operations to host an event on the world stage, Sinclair and West were heads down in an office at the heart of the city’s burgeoning tech industry. A decade later, Eventbase is celebrating its 10-year anniversary as the most recognized mobile event technology platform for premium brands. Their clients include IBM, Cisco, Microsoft, SAP, Century 21 and TD Ameritrade. They also power official apps for many of the largest events in the world including SXSW, CES, Comic-Con, Sundance, and three Olympic Games. Since then, the company has continued to lead the way in introducing breakthrough mobile event technology. 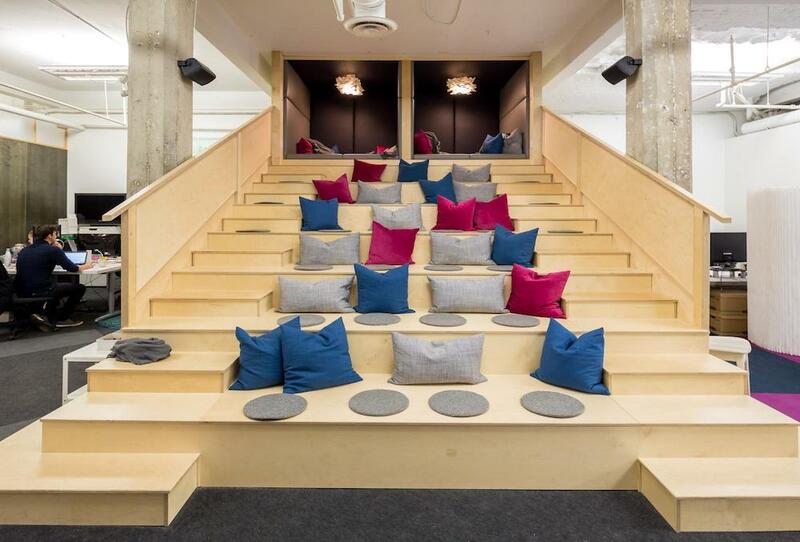 Eventbase pioneered the “Intelligent Event App” with technologies such as an Advanced Chatbot and Recommendation Engine, and the use of proximity beacons for Hyper-local Networking and Indoor Location. As event enthusiasts, Eventbase co-founders are passionate about the holistic event experience—and they’ve built this passion into the DNA of Eventbase. Each employee has their customer’s’ needs front and center. Having your back also holds true with Eventbase employees. The company has built a culture where people support one another through both professional and personal issues. Event technology is only in its infancy. Attendees today expect a stellar mobile app to connect to their event experiences. Eventbase celebrates 10 years on March 19, 2019. 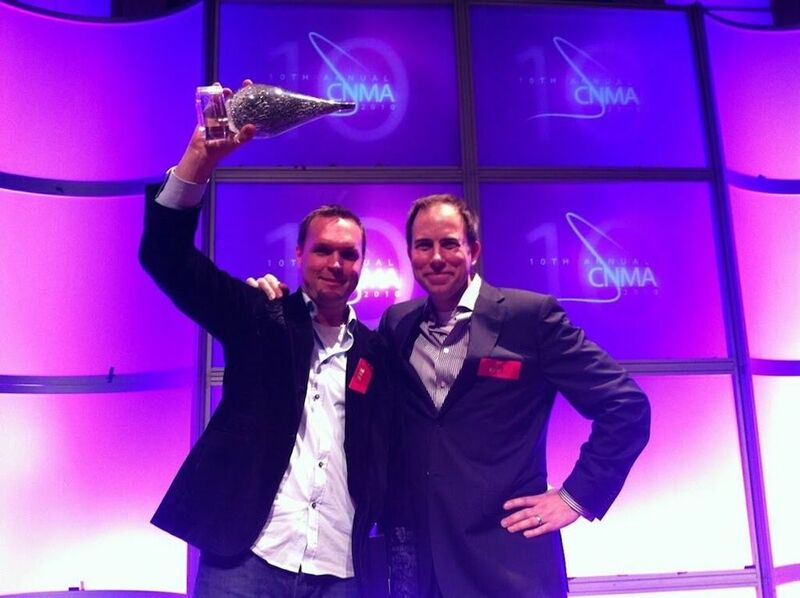 Eventbase co-founders, Jeff Sinclair and Ben West take home the Canadian New Media Award for Best Mobile App for the Vancouver 2010 Winter Olympics Games app. The Vancouver Jazz Festival app was one of the apps produced by Eventbase, formerly known as Xomo Digital. The Eventbase team worked late into the night on-site at one of their first events. 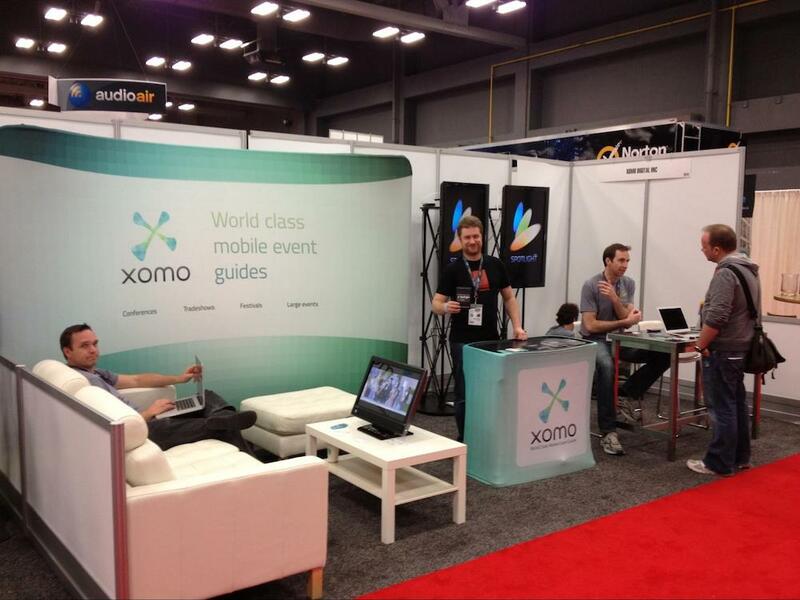 The Eventbase team, when they were known as Xomo Digital, onsite at SXSW. Sinclair and West take in the 2012 London Olympic Games. 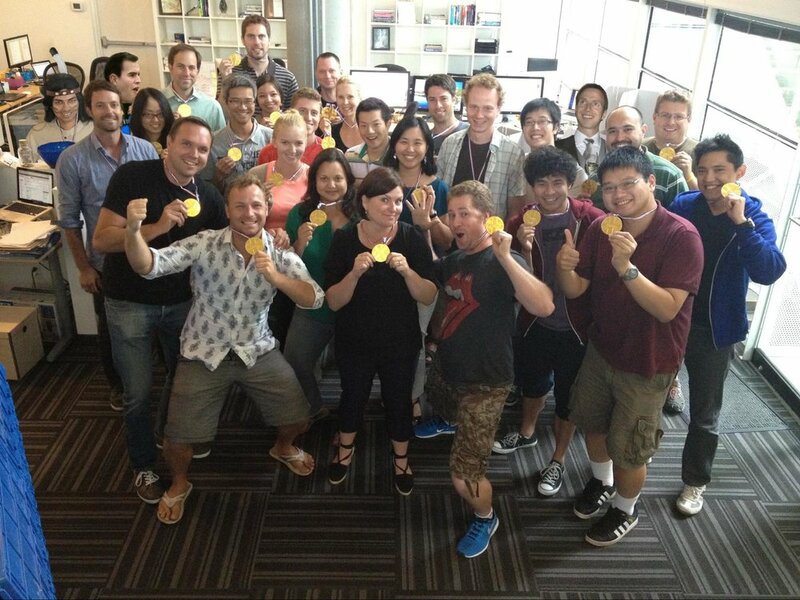 Celebrating the 2012 London Olympic Games from the Vancouver office. 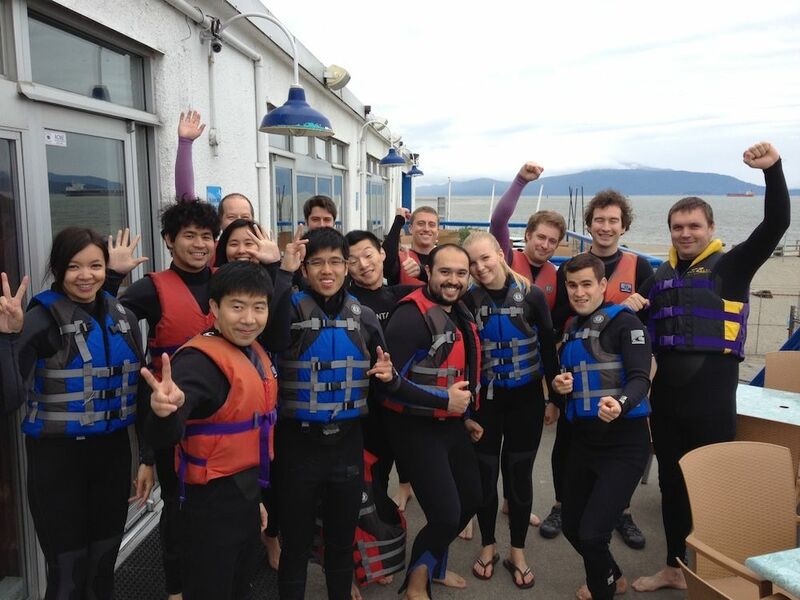 Eventbasers out for a team building day. The Eventbase team onsite at SXSW. EMEA Managing Director, Richard Caelius, onsite at the 2014 Sochi Olympic Games. Sinclair and West walk the red carpet at Cannes Lions. Sinclair presenting at a company meeting. The Eventbase team participates in the ALS Ice Bucket Challenge. Group seating in the Vancouver office. Eventbasers show off a workspace in the new Vancouver headquarters in 2016. The cafe of the Vancouver headquarters. The Eventbase team enjoyed the Sea to Sky Gondola in Squamish, British Columbia. West enjoys a ride in the Ready Player One car at SXSW 2018. Celebrating 10 years of Eventbase.